The universe has always been an interest and mystery for mankind. There are actually a lot of people who are wondering what lies out there. Traveling into space is next to impossible. But with iPhone space applications, people can be transported to space or simply get a feeling of what is going on in the universe. Here are some top space applications for iPhone users who dream of seeing the universe. 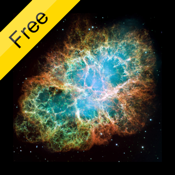 # 1 – Astro App Price: Free For: iPhone, iPod touch, iPad This application enables users to virtually travel around the universe. Users can view the earth, moon, and planets using Google Sky. A map of the universe is displayed which users can pan around. To take a closer look at nebulae or craters, users can simply tap the screen or use the zoom in button. Information about the planet Mars, the moon, and the constellations is also available. 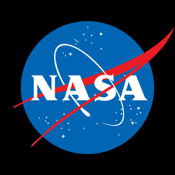 # 2 – NASA App Price: Free For: iPhone iPod touch, iPad NASA has provided iPhone users a chance to explore the Space Center and be familiar with the agency’s various missions with the use of this application. Users can drive a moon rover as well as know the weather forecast out there. Users can watch NASA TV live and learn about the latest NASA stories and news. This application can also be shared via Twitter and Facebook. # 3 – Distant Suns 3 Price: $9.99 For: iPhone, iPod touch, iPad The user-friendly navigation of this application has made it easier for users to travel around the stars and planets. The graphics and images are so realistic that users can feel that they are indeed in outer space. To learn more about a particular constellation, users can simply aim their iPhones towards the sky, and detailed information about it will be displayed. This application has a lot of features that users will definitely find interesting. 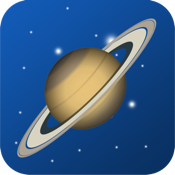 # 4 – Planets Price: Free For: iPhone, iPod touch, iPad View the different planets in 2D and 3D with the use of this application. It includes features that enable users to discover which planet is visible in the night sky. This application can also identify bright objects in the sky. 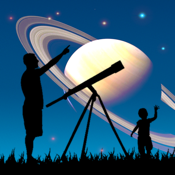 The features of this application are perfect for wannabe astronomers. For more great apps on Space, check out our list of the Best stargazing apps for the iPad. Distant Suns(max): Because half the day is night.